Handmade popcorn in London that use natural ingredients. Their range contain over 40 innovative flavours (sweet or savoury). Healthy and delicious range that the whole family can enjoy. Preservative free, all natural, guilt free! 100% Raw organic coconut water, unheated, with nothing added and nothing taken away. This means both the taste and nutritional content are unchanged. Like our Facebook page, follow us on Instagram & Twitter and follow @chicoconutwater. Share the Halloween competition with the hashtag #joeandseph and #givingtreesnack. The competition will be running from the 13th October to the 27th October 4pm, so good luck everyone! 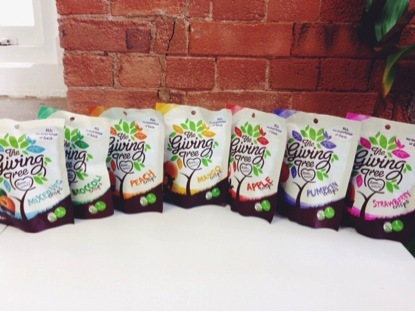 Here are our links: Facebook: GivingTree Twitter: @givingtreesnack Instagram: @givingtreesnack Chi’prize T&Cs: Correct entries will be submitted into our prize draw, and a winner selected at random. The winner will be contacted via twitter or Facebook, and must respond within 48 hours to receive their prize; otherwise a new winner will be selected. Open to UK residents only. Like our Facebook Page or follow us on Twitter or Instagram. Share and tag a friend in the competition photo on one of the pages. And add the hashtag #yogasphere. The winner and the friend tagged will all win The GivingTree prize! The competition will be running from the 11th August 2015 - 25th August 2015 till 4pm. Good Luck! 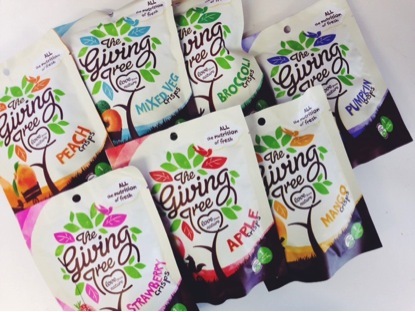 Here are our links: Facebook: Givingtree Twitter: @Givingtreesnack Instagram: @Givingtreesnack TheGivingTree’prize T&Cs: Correct entries will be submitted into our prize draw, and a winner selected at random. The winner will be contacted via twitter or Facebook, and must respond within 48 hours to receive their prize; otherwise a new winner will be selected. Open to UK residents only.